Tickets for HAMILTON go on sale to the public Thursday, April 11 @ 10AM. Online will be the fastest way to purchase tickets during on sale. The Kentucky Center website, KentuckyCenter.org, is the only official website selling single tickets for HAMILTON performances at The Kentucky Center. Any other website selling tickets to HAMILTON will be a broker or reseller and will charge you more than regular ticket prices. We cannot guarantee that tickets purchased through a ticket broker or reseller are valid, and therefore The Kentucky Center Ticket Office cannot assist guests who purchase through brokers if there are any problems with tickets. Please have your Kentucky Center account information handy. If you don’t already have an account and password, set this up before the day tickets go on sale. This information will help you log in quickly, so you can order your HAMILTON tickets. If you need to create an account, please visit KentuckyCenter.org/login. In-person sales. Ticket availability at the box office will be limited during the on sale. Visit The Kentucky Center Ticket Office to purchase HAMILTON tickets in person at 501 W. Main Street, downtown Louisville. All guests will proceed through a security check. No camping out is permitted outside The Kentucky Center prior to the on sale. Phone sales. Tickets will not be available by phone during the public on sale. Be prepared with several choices of performance dates, times, and prices, just in case your first choice sells out, as we expect high demand for tickets. Best ticket availability is for performances June 11-23. Ticket limits will apply. 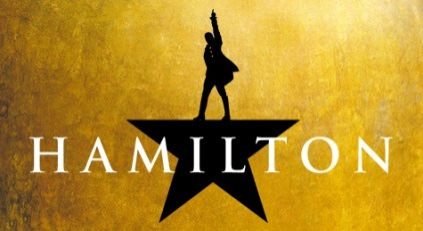 HAMILTON has a ticket limit of four (4) tickets per household address, billing address, or credit card number to allow as many people as possible to see the show. After all available tickets are sold, all purchases will be reviewed, and any purchases that violate the HAMILTON ticket limit, based on full household account information, will be canceled without notice. Gift Certificates. Kentucky Center Gift Certificates are redeemable for purchase online and at The Kentucky Center Ticket Office. Gift certificates may be purchased in advance of the on sale date at The Kentucky Center Ticket Office or by calling 502-584-7777. Gift Certificates expire 5 years after purchase. When will I get my tickets? HAMILTON tickets purchased online will be delivered by mail. Tickets will be mailed 30 days after purchase. Tickets purchased in person with a credit card will be available immediately at the time of purchase. Tickets purchased in person with cash will be held at Will Call under the account holder’s name until the day of the performance, when they will be available for pick up with valid photo ID. Ticket Security. Each ticket has a one-of-a-kind barcode. Never share photos of the barcode on your tickets—especially on social media! If you post a picture of your ticket that shows the barcode, someone could steal your barcode and use it to get in to the theater. Only the first set of tickets that gets scanned will be allowed through the doors. Cover the barcode with your finger when you take a picture. Take a close-up shot of the tickets that shows only the name of the show and the theater. Runtime: HAMILTON runs 2 hours and 55 minutes (including intermission). Age Recommendation: HAMILTON is appropriate for children ages 10 and up, however everyone needs a ticket regardless of age. Please note the performance runs 2 hours and 55 minutes and contains some strong language and non-graphic adult situations. Strobe lights, fog, haze, gunshots, and cannon booms are used in this production. American Sign Language (ASL) Interpretation, Audio Description, and Open Captioning: ASL Interpretation, Audio Description, and Open Captioning services will be provided for select performances. *Limited number of seats available in ASL areas. *Audio Description available in all locations of the theater. *Limited number of seats available in Open Captioning areas. Please contact us at access@kentuckycenter.org for more information. Accessible Seating: Accessible seat locations for patrons with mobility needs are available at The Kentucky Center, and all levels of the theater are accessible via elevators in the lobby. However, many seating areas within the theater have stairs. For information on accessibility at The Kentucky Center, please click here. There is a maximum purchase limit of four (4) tickets per account for the engagement. Prices will range from $65.50 to $175.50 (plus tax) with a select number of $395.50 premium seats available for all performances. Additional fees apply to online purchases. There will be a lottery for forty (40) $10 seats for all performances. Details will be announced closer to the engagement. Prices listed do not include fees. How is it possible that there are tickets on secondary ticket sites and that they are so outrageously priced? KentuckyCenter.org is the only official online ticket source for single tickets for HAMILTON. Single tickets are not on sale at this time. Tickets for HAMILTON or any other Broadway in Louisville event purchased on a secondary site cannot be guaranteed. We make every effort to sell directly to consumers so that our guests receive the best seats at the best price and the best customer service. All tickets found to be sold above face value will be invalidated. Learn more about buying from the official source. What if I can’t attend my purchased performance? What if I can’t find my tickets or they get lost in the mail? Tickets that have not been received, for any reason, including lost or stolen, will be held at Will Call under the original account-holder name, and may be picked up with a valid photo ID beginning one hour prior to curtain time on the performance date ONLY. No name changes. No exceptions. If you don’t get tickets during the public onsale, there is still hope! Additional seats will be made available for sale closer to the engagement. Please check KentuckyCenter.org regularly for availability. Sign up for the Broadway in Louisville eCLUB for the latest updates. Group tickets will not be available for HAMILTON. Unfortunately, we are unable to accommodate ticket donation requests for HAMILTON. Where can I learn more about Hamilton?